Found this at my local woolworths. It taste great ! The whole family loves it. Nice thick patties that are meaty and tender. Tried a few other frozen beef patty brands but this is still our favourite. These are delicious, non greasy, meaty burgers. Go well with any of the usual toppings! These are our family favourite burgers, shame our local Woolies is no longer stocking them. 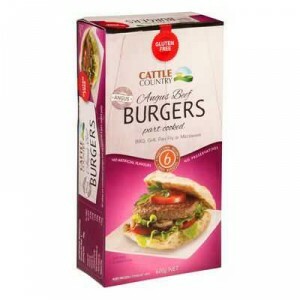 How would you rate Cattle Country Burgers Angus Beef?